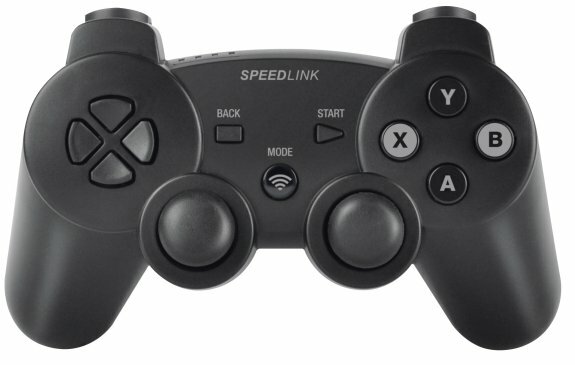 SPEEDLINK® offers gamepads to control the newest games as well as classics from days of old: the latest generation of PC controllers from SPEEDLINK® can be switched at any time between the two Windows® input technologies XInput and DirectInput. Thanks to this, the controllers guarantee maximum compatibility with practically all games – whatever technology they use. Following the successful launch of the multi award-winning PS3® version of the XEOX Pro Analog Gamepad now comes the long awaited PC version of this ergonomically perfect pro gamepad. For the first time, it unites the advantages of the optimally positioned left analog stick with flexible Dual-Mode technology for XInput and DirectInput games. Thanks to its non-slip rubberised coating, rapid-fire mode and realistic vibration function, the XEOX offers all the conveniences of the latest in controller technology. What’s more, the wireless version with its high-capacity Li-polymer battery offers hours of cableless freedom – whatever the game. 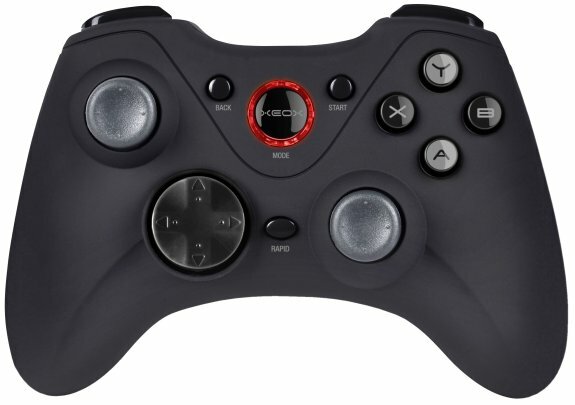 The new edition of the highly popular STRIKE FX gamepad also guarantees full game compatibility. As before, the robust all-rounder retains its classic design, but now also switches between the two input technologies at the press of a button. The STRIKE FX also increases the realism and the immersion factor of the latest PC games thanks to its adjustable Force-Vibration technology. The STRIKE FX is available in a wireless version with an integrated Li-polymer battery as well as a USB-connector version. With these unparalleled updates to its PC gamepad range, SPEEDLINK® is the first manufacturer to offer a complete range of multi-compatible PC pads priced between €19.99 and €39.99 (RRP) that can control practically any Windows® game all without the hassle of cable swapping – thereby uniting the old and new worlds of PC gaming.